On the “My Tickets” page you can view the purchased tickets divided into “To use” and “Expired”. 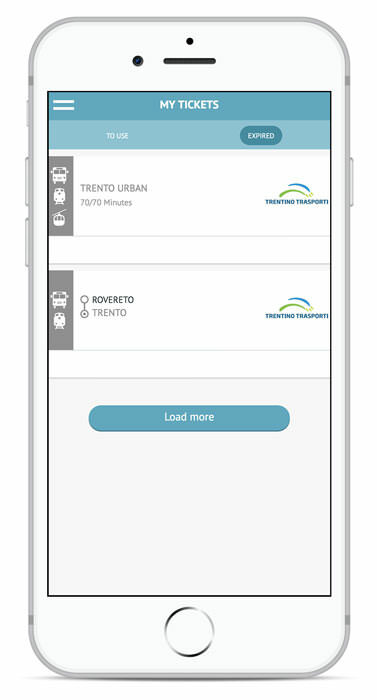 A ticket can have a time validity (typically urban tickets) with different durations – 70 minutes, 120 minutes, daily – appropriately indicated within the app: it is therefore immediate to check the ticket status with the remaining validity minutes or the due date. 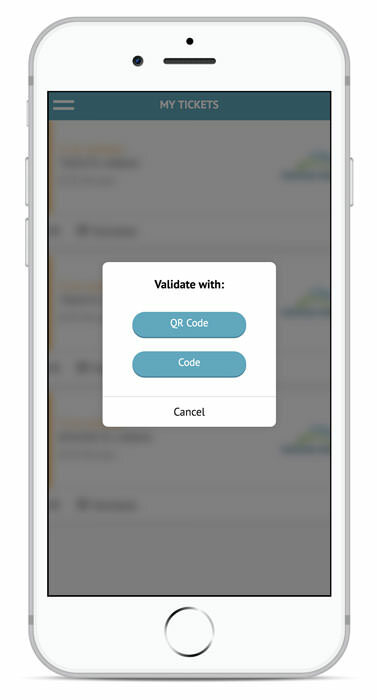 After the first validation it is possible to make new validations in the subsequent trips by clicking on “Validate again”. A ticket can also have “origin-destination” validity (typically suburban tickets). 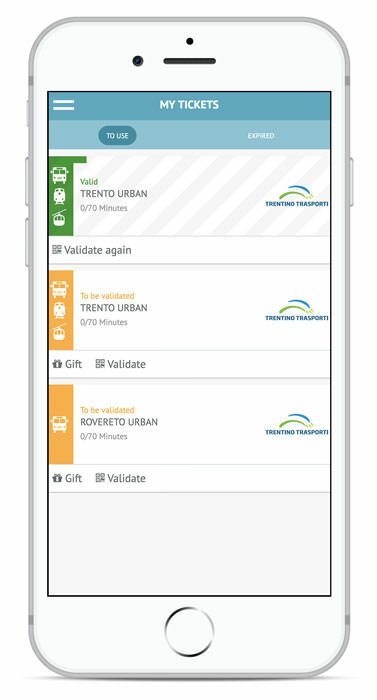 In this case it is still possible to validate the ticket again in the case of a change of vehicle within the planned route.